Christine Many Luff is a former writer for Verywell Fit covering running, which she lives and breathes. Her passion for the sport filters through all aspects of her life—as a fitness writer, avid runner, certified running coach, and mom of two very active kids. Christine has been running competitively since the seventh grade. 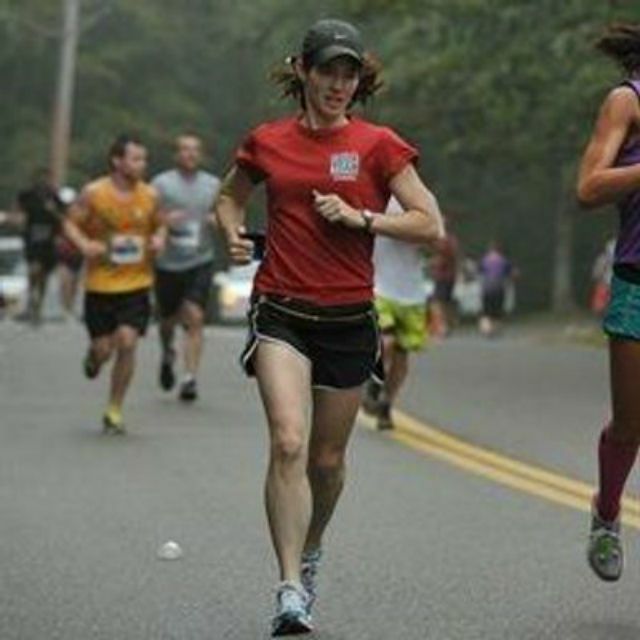 Since then, this seasoned runner has run countless races and 13 marathons, including two Boston marathons. As a coach for the Leukemia and Lymphoma Society's Team in Training (TNT) running team in New York City since 2003, Christine has trained thousands of runners to cross the finish lines of dozens of full and half-marathons. Christine also works with individual runners to help them reach their running goals, from completing their first 5K to achieving their personal best in the marathon. A big advocate of youth running, Christine also coaches for her kids' Track & Field team. Some of her favorite running moments have been watching kids cross the finish line of their first race. As a health and fitness writer/editor, Christine has held staff positions at Reader's Digest and Ladies' Home Journal and has written for numerous magazines, web sites, newsletters, and books including: Women's Running, More, Women's Health, Cosmopolitan, Allure, Sports Illustrated for Women, Asics.com, and Rodale Online. Media may email Christine about fitness news, gear and book reviews, and other commentary. Please contact Christine for where to send product samples and marketing materials. Connect with me on Facebook, Pinterest, and Twitter. Find more running articles and inspiration at my personal website, Run For Good. Do you have a question about running? "Ask the Running Coach" is where I answer readers' questions about all aspects of running, training, and racing. Christine is a Road Runners Club of America (RRCA) certified running coach and is certified as a personal trainer and a fitness nutrition specialist by the American Council on Exercise. Christine regularly attends workshops on sports nutrition, injury prevention, and other running-related topics. Competition. Stress Relief. Runner's High. Calories Burned. These are just a few of the many reasons why I love running. Over the years, I've learned and gained so much from the sport. Through this site, I hope to help educate, entertain, encourage and motivate you in your running adventures. Can You Eat or Drink Dairy Products Before a Run? Should You Drink Coffee Before Running? Can You Wear Headphones in Races? How Many Miles Do I Need to Run to Lose Weight? How Can You Grab Water During a Race Without Slowing Down? Where Can I Find Some Motivational Cross Country Running Quotes? What Are Best Foods for Runners? Can I Run a Race With a Cold? Is It Safe for Pregnant Women to Run During Pregnancy?